The British cheese scene goes from strength to strength with new producers and new cheeses appearing all the time. What's been noticeable in the past year or is how British cheesemakers are being more adventurous, moving beyond cheddar and Camembert-style cheeses to make more unusual and technically difficult products. 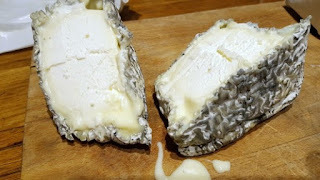 It's all jolly exciting, if sometimes a bit difficult to keep up with, so here are my top five from the past 12 months or so in celebration of British Cheese Week (which was last week!). Patricia Michelson at La Fromagerie recommends Champagne or an English white wine. David Jowett at King Stone Dairy has only been making Rollright for a year or so, but every cheesemonger I've spoken to reckons he's pretty much nailed it already. 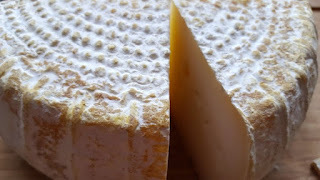 A washed rind, cows' milk cheese, it has a passing resemblance to Reblochon but is softer and silkier. The flavour is extraordinary - deeply aromatic (I detected parsley!) with lovely yeasty, bready notes from the rind - it tasted of cake mix to me. 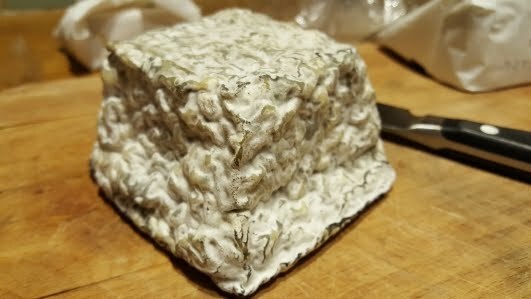 It was no surprise that it was named Supreme Champion at the inaugural Artisan Cheese Awards in Melton Mowbray in April. I'm pairing it with a shot of chilled smoked vodka from Chase Distillery at an upcoming tasting. Oxfordshire-based Nettlebed Creamery was set up by Rose Grimond two years ago and uses organic, unpasteurised cows' milk from Merrimoles Farm in Bix. 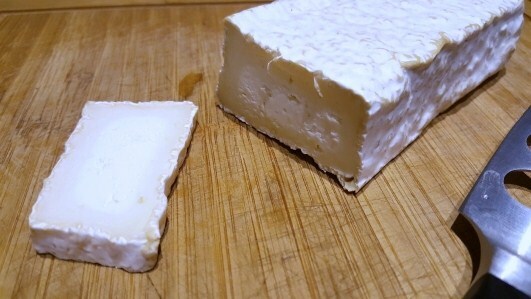 The village is also the name of the company's new triple cream cheese, which is similar to the French fromage Chaource. It's made by adding double cream to the milk, giving the cheese a wonderfully dense, luxurious and downright naughty creaminess. 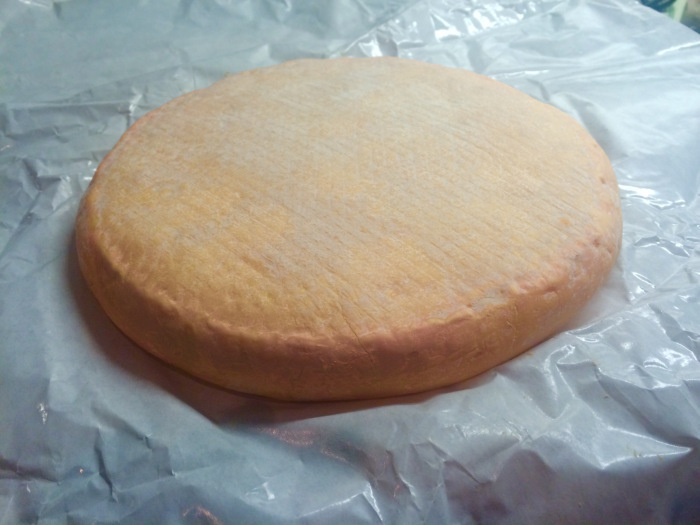 There's also a pleasant yoghurty tang, plus damp, earthy aromas from the natural rind. Worked a treat with Northern Monk's Mocha Porter. Also look out for the company's sweet, nutty Gruyere-style cheese called St Bartholomew. Haydn Roberts was the head cheesemaker at Neal's Yard Creamery for many years, producing iconic British goat's cheeses such as Ragstone and Dorstone. He's now struck out on his own, acquiring Lightwood Cheese in Worcester and launching a superb brick-shaped goats' cheese called St Thom, which is made with raw milk. It has a dense texture with a softer breakdown just beneath the rind. Sweet, nutty, herbaceous and with a pleasant earthiness. St Thom was named Best Soft and Best Goats' Cheese, plus Reserve Champion, at the recent British Cheese Awards. Roger Longman, one of the cheesemakers at White Lake in Somerset, is a mad keen cyclist, so decided to make a cheese in honour of the notoriously difficult cobbled section of the Tour de France (I don't really get it either). Made with thermised sheep's milk and sporting an ash dusted rind, the cheese is semi soft and lemony when young and fully oozy when mature with a rich flavour. Think hazelnuts and a hint of roasted lamb.